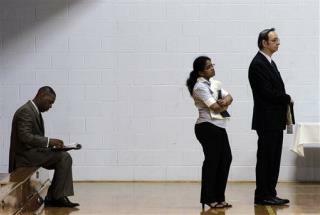 (Newser) – New research suggests being unemployed may actually alter a person's "core personality" for the worse, making it harder to secure new employment, per the American Psychological Association. A study published in the APA's Journal of Applied Psychology looked at nearly 6,769 German adults who took a personality test at two points during a four-year period; 210 of the subjects were unemployed for one to four years during this period, while 251 were briefly unemployed but got another job within a year. Results showed the impact of joblessness on the "Big Five" personality traits: conscientiousness, neuroticism, agreeableness, extraversion, and openness. Among the findings: Men showed increases in agreeableness during the first two years of unemployment (compared to employed men), but those levels ultimately fell below those of men who had never lost their jobs. Women, meanwhile, became more disagreeable with every passing year of joblessness. Also not having any $$$!! Will get u all the FREE stuff for LIFE from the DUMOCRATS!! There ya go ALL!! Don't have your personality warped just blame it on Obama that will give you mental clarity.